As a car collision repair facility we work closely with all insurance companies. It has been our experience that we can agree with a great deal of success to repair all vehicles with the insurance co. Our prices are based on the figures set forth by both the auto body repair industry and the insurance industry. Stephen’s auto body uses only top of the line refinishing materials by PPG waterborne paints. We use only the factory recommended procedures to guarantee a quality paint job every time. Whether it is a 2 stage, 3 stage or single stage job the same attention is paid to detail. State of the art downdraft spray booths by Garmat to ensure better than factory refinishing. Computerized paint mixing systems utilizing top quality PPG waterborne paints line of auto finishes. Each and every phase of the repair process is tracked and controlled by our high tech computer software to ensure an efficient quality repair every time. 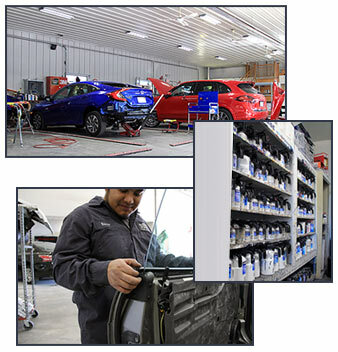 In addition to this our team of car body specialists also meticulously evaluate each part of the work performed to make sure that everything is done to the highest standard. As an additional convenience to our customers we have a toll free telephone number for our 24 hour tow service which is (800) 439-5202. Whether you’re in Somerville, Reading, Winchester or any other town, please give us a call for a free body repair estimate at 781-665-3400.